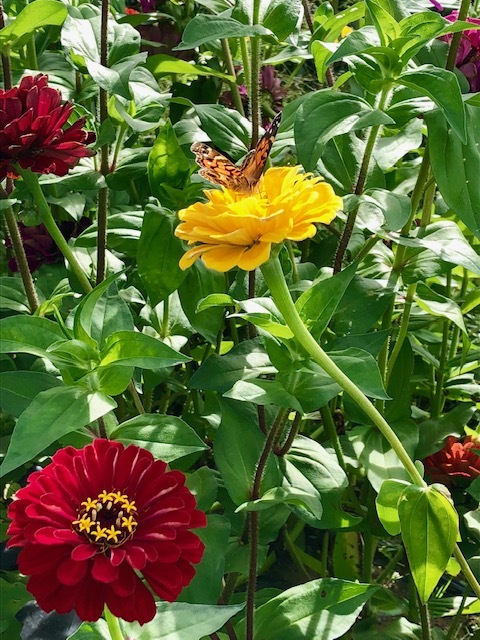 This entry was posted in Uncategorized and tagged Butterflies, Master Gardeners, Monarch Butterfly, New England, New Hampshire, Strafford County, Strafford County Master Gardeners, UNH Cooperative Extension, Zinnia. Bookmark the permalink. I am jealous of those red zinnias! My zinnias have typically run all through the oranges and yellow-golds but rarely produce red. These are gorgeous!